Sushma Narayan of Antioch will be participating in the East Bay Walk to End Alzheimer’s for the sixth year. She walks in memory of her father, Daniel. 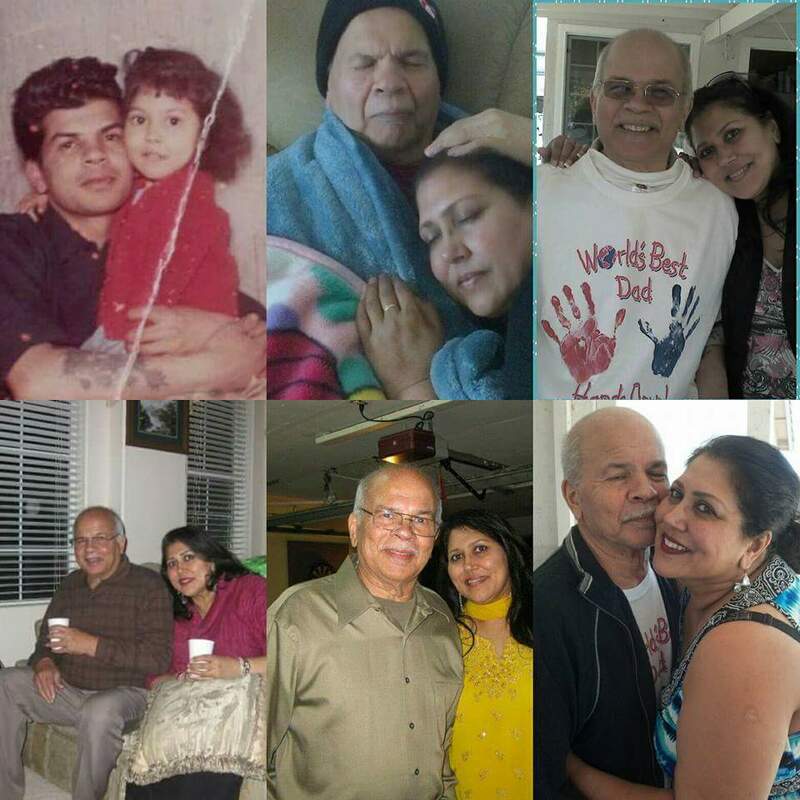 Sushma cared for her father for several years, until he died from Alzheimer’s in 2014. 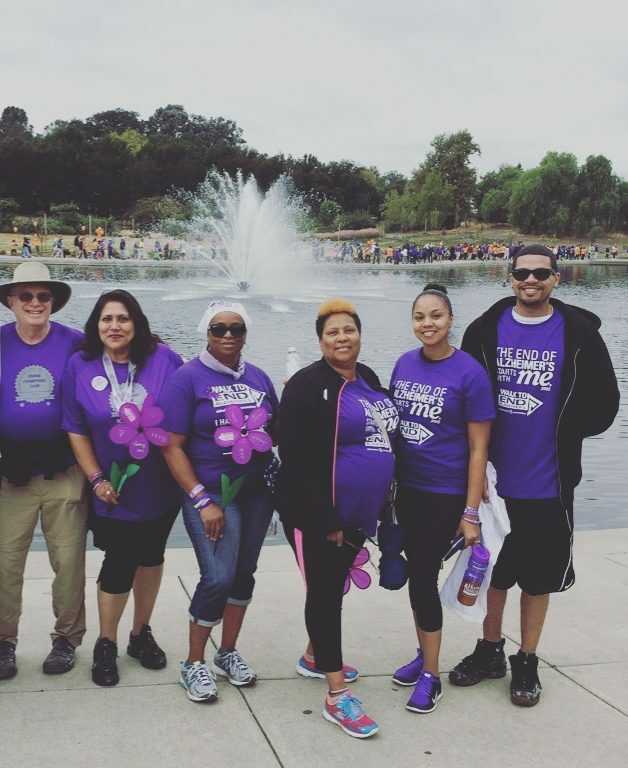 Sushma spoke with us about her caregiving experience and her participation in the Walk. My parents, Daniel and Sadhana, are from Fiji. They immigrated to London when I was nine months old. My parents were married for 52 years. My father was a hardworking man. He was a pressman and worked for the same company for over 30 years. He survived a massive stroke at age 49 and was paralyzed on one side. He went through rehabilitation to regain his strength and go back to work. What first concerned you about your father’s health? My father and I were in line at the grocery store one day. I asked him to go and get ice. He came back a few minutes later with a cart that had someone else’s groceries and a purse in it. A man in line offered to hold my space while we returned the cart. When we came back, the man suggested that I take my father to the doctor. He had noticed Dad’s shuffling gait and confusion. He thought that Dad might be having a transient ischemic attack. How did your family respond to the diagnosis? I was known as the “why child” in my family. I always wanted to know more. When I learned that my father had dementia, I looked up everything I could find online. 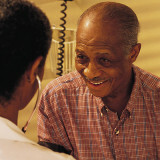 I quickly learned that it was not like stroke or cancer, where the condition could be treated. My father had a hard time understanding the diagnosis. Others in our family didn’t believe it. As his symptoms progressed, my mom understood more. How were you involved with his care? In the beginning, I was living in Antioch and working in Walnut Creek. My children were both teenagers. 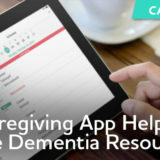 We tried to hire a caregiver, but my father wouldn’t listen to the caregiver. 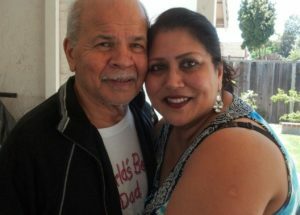 I began to stay with my parents in Fremont three days a week to help my mother with caregiving. I moved in with my parents, returning home one night a week. Luckily, my employer allowed me to work remotely. This lasted for five years. My dad and I always had a special bond. This bond remained, even after he developed dementia. What impact did caregiving have on you? My life changed. I lost friends because I wasn’t making time for them. Even now, people don’t understand what it was like. Family members wouldn’t come around as much. Our culture doesn’t understand the disease. They would tell me what to do to care for Dad. People told me that I was doing too much and that I needed help. But it was hard, because my father wouldn’t listen to the paid caregivers. In 2014, when I was at home, I fell down the stairs and broke my ankle. The injury required surgery and a long recovery. My father died a few months later. He was on hospice for the last few days. Caring for my father was the hardest thing I’ve ever done, but I have no regrets. How did you first hear about the Walk to End Alzheimer’s? In 2012, my father ended up in the hospital with a urinary tract infection. My friend, Donna, was with her father, who also had dementia and was in another hospital. 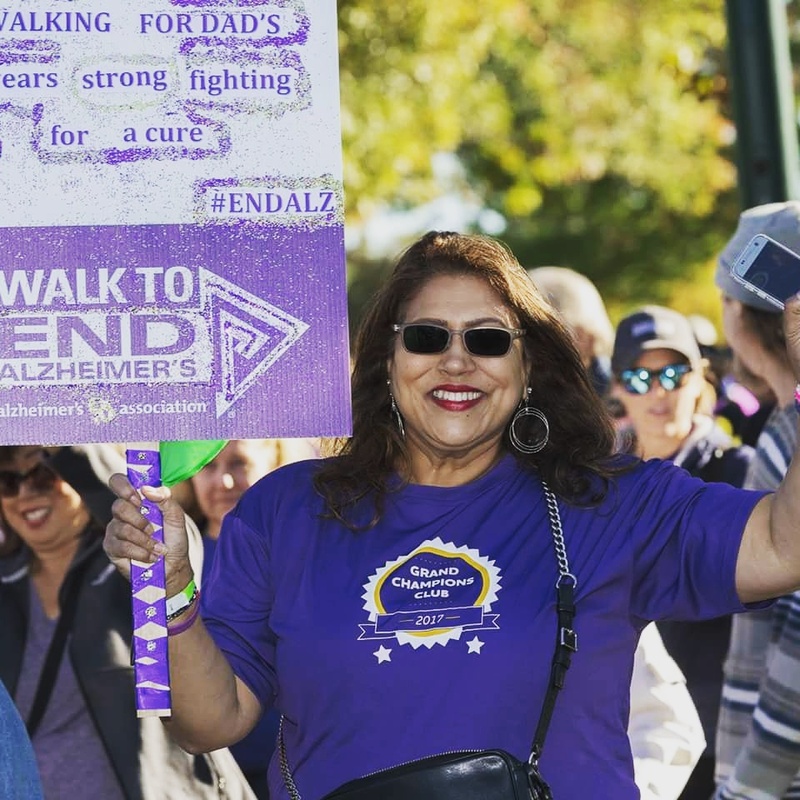 As Donna and I texted each other, we asked, “what are we going to do about this disease?” We came across the Alzheimer’s Association website and read about the Walk to End Alzheimer’s. Our first year participating, I met Howie Herskowitz. 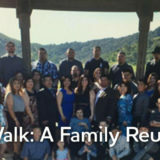 He’d lost his father to Alzheimer’s and was walking for the first time too. The three of us formed a team, Walking for Dads, and walked together with our families. We’ve been friends since them. My mom is a virtual walker. She can’t go to the Walk, but she signs up, helps raise funds and walks around her house. What do you do to raise funds? I post about the Walk on Facebook and use the Facebook fundraising tool. I have a large business network, so I post on LinkedIn. I update my participant page each year. I also send emails through the Walk participant center. The first year I was a champion fundraiser, I gave my father the medal I received. He was so proud. What is your favorite part of Walk day? I love the whole event. I know how hard everyone works to put on the Walk. I get there early and help set up. I enjoy seeing the young volunteers, who are helping to spread the word about Alzheimer’s. Our whole team goes out for lunch after the Walk. Everyone looks forward to it. Why do you think it’s important to support the Alzheimer’s Association? 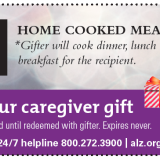 The Alzheimer’s Association helped me when I was caring for my dad. I have met so many people who I refer to the Alzheimer’s Association for support. I have Alzheimer’s Association materials in my car. I share them with friends and coworkers. This year it’s more important to me than ever before. I have been blessed with a grandson and I never want him to watch a loved one suffer like his great grandfather did. He is eight months old, so he will be walking with me in his stroller. There are so many people, even in our government, who are blind to the impact of this disease. I will continue to Walk in honor of my father and grandson until a cure is found. Sushma invites you to join team Walking for Dads or start your own Walk team. 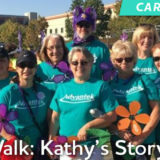 Join her on October 20 at the East Bay Walk to End Alzheimer’s in Walnut Creek.